10 Totally Crazy Awesome Alternatives to typical diamond engagement rings. I’ve actually seen quite a bit here lately when it comes to engagement ring alternatives and I have seen so many amazing options. Rings made of wood, tattoos, genuine stones, the list is pretty long, BUT I’ve narrowed it down to my 10 favorite totally awesome amazing rings! Super simple and super elegant! A great option for the girl who loves minimal amounts of jewelry. This one may be my personal fave! An uncut diamond is the diamond for me! Are you a fan of Geometric shapes? Then you may love this! This ring is absolutely adorable! It is definitely worth taking a look at if you're on the search for the PERFECT ring.. I mean it's rainbow colored and sparkly. 5. Don't want a ring? Well good news! There are so many different Tattoo alternatives to a ring. You can find them here! Want to always feel like the princess you are? 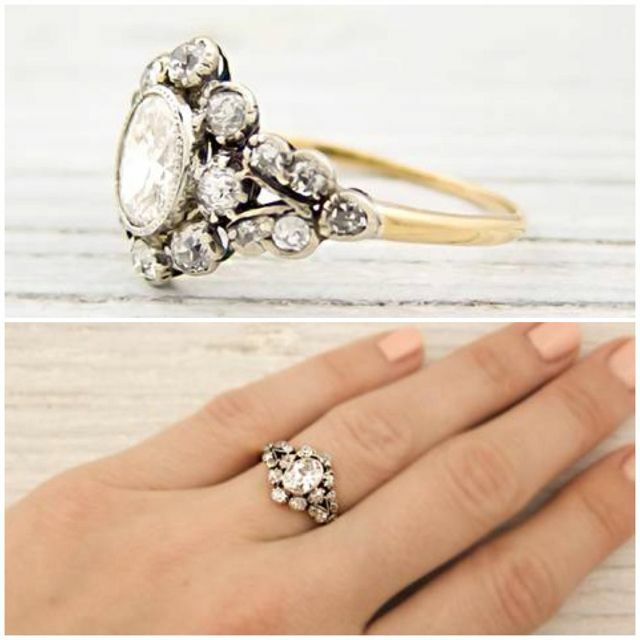 Then this Princess ring is definitely for you! This one just oozes style with a hint of nature! If you're a nature lover this one may be the one for you. And hey an Emerald is the sacred stone of the goddess venus and is thought to preserve love. What could be better than that! - Stone of successful love! Crystals are great things to have and to have it in your engagement ring is basically the bee's knees. 9. Something a little different! This ring carries the wow factor! Completely unique in design and ready to wow! The stone of Loyalty, Power, wisdom and truth. Stimulates wisdom and good judgment. Talk about the perfect combo and OMG IT IS SO PRETTY! So ladies, don't think you HAVE to get a diamond ring. Shop around and get the one that fits you best! So what ring was your favorite? Do you prefer a Diamond ring? Let me know in the comments below!